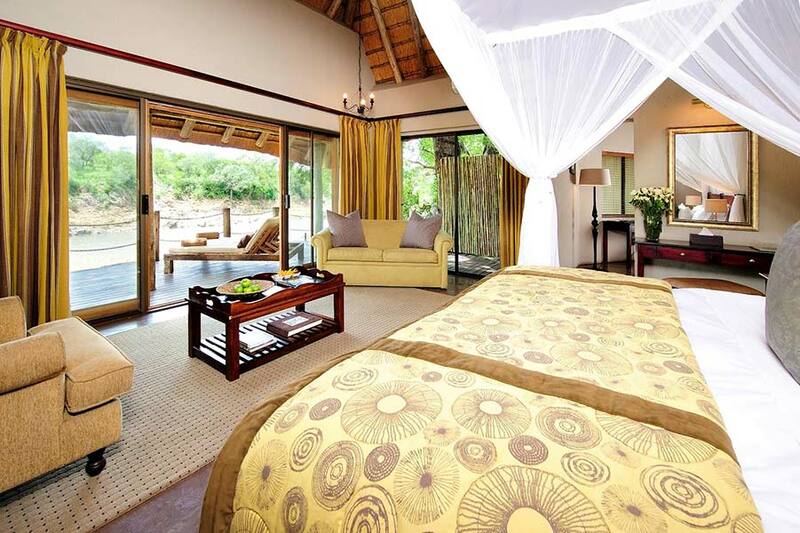 Nestled amidst the lush vegetation in the South-Western corner of the majestic beauty that is the Kruger National Park. Jock Safari Lodge emerges at the pinnacle where the Mitomeni and Biyamiti rivers flow as one – a space for breath-taking wildlife sightings. The lodge with 6, 000 hectares of natural landscape offers guests one of the best Big 5 game viewing experiences in South Africa with its exclusive riverbed traversing rights. The Relaxation Retreat with steam room, sauna and hydrotherapy bath will ensure guests unwind to a state of pure body revitalisation. 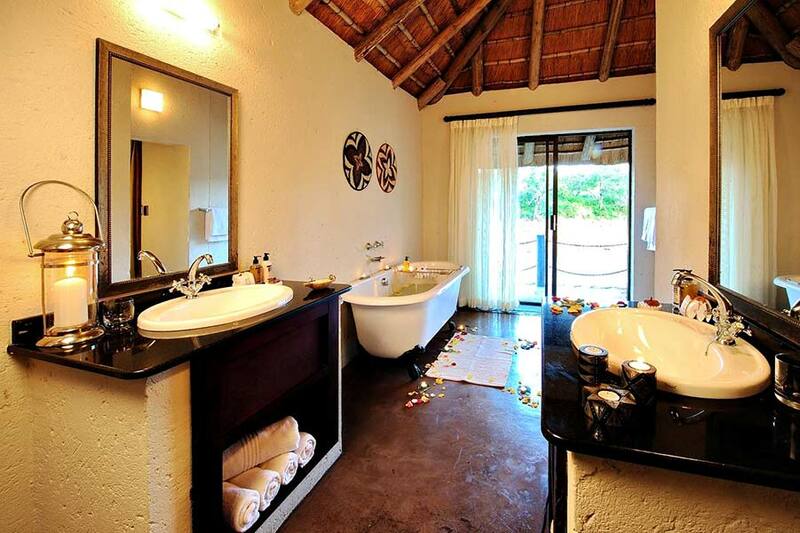 Guests have the opportunity to understand the South African cultural heritage of the legend of Jock of the Bushveld, in which the lodge is named after. 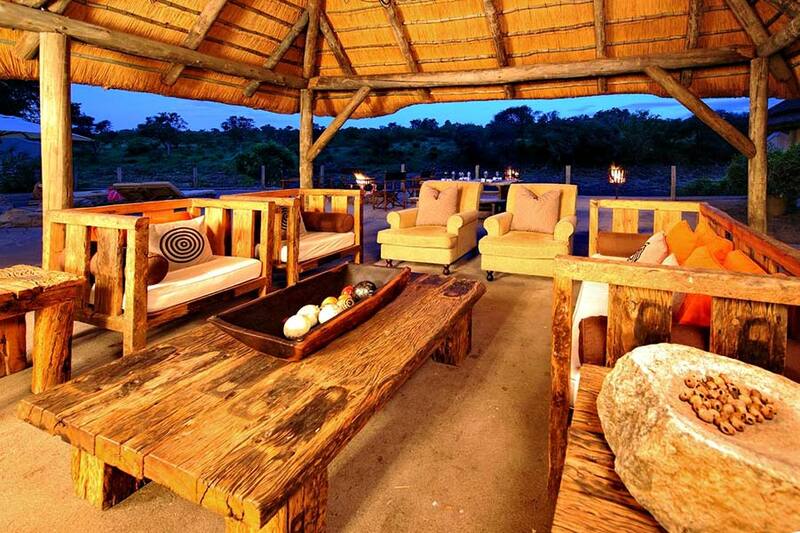 Jock of the Bushveld, the legend that was, served as inspiration for the aptly named Jock Safari Lodge. The tale, inked by Sir Percy Fitzpatrick, tells of canine devotion and has since moved many exploring hearts. Fitzpatrick’s at Jock, offers personal service in an intimate atmosphere. Perfect for small parties and families. 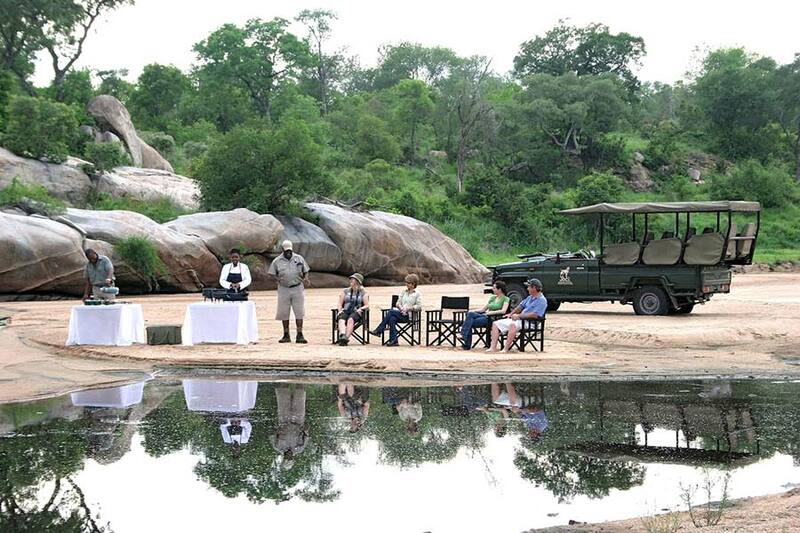 Morning and evening drives are performed in covered 4x4 Landrovers conducted by highly experienced rangers. Traversing through the reserve, the wildlife is sometimes staggering in its diversity. Enthralling sightings of elephants, a sea of buffalo horns rising from the grass as they lie resting in the growing heat as well as prides of lions, awaits one. 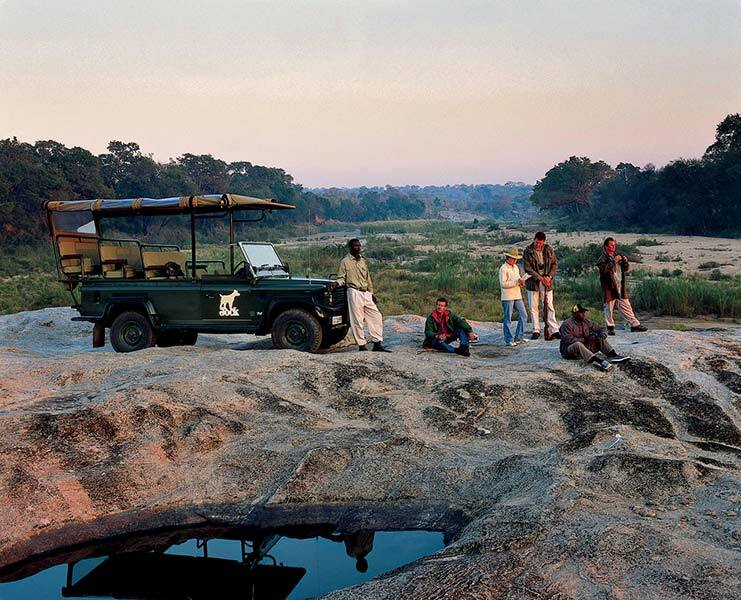 At dusk, a vantage point is chosen overlooking one of the many breathtaking vistas of the Kruger National Park. Sundowners are enjoyed while tales of the bush are told and a glimpse of what this unique wilderness has to offer is seen while being entranced by the ever changing colours of the sky as the sun slips into the timeslot of tomorrow. En route back to the lodge, nocturnal animals such as leopard, hyena and lion are often seen. 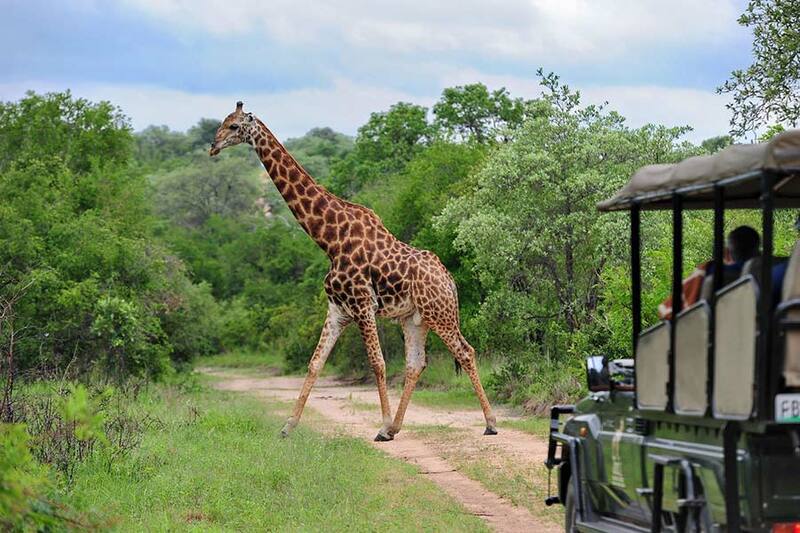 Walking Safari’s are encouraged, after a hearty breakfast, moving through the veld enjoying vistas of unsurpassed beauty and discovering one’s place in the cycle of nature. The diversity of fauna and flora in this unique concession truly comes alive when viewed on foot. The Pilgrims Rest Retreat offers an escape to enjoy some pampering. Awaken your senses and allow us to rejuvenate body, mind and soul. Inspired by surrounding elements that guide us, our selection of body and beauty treatments cater for men and women. 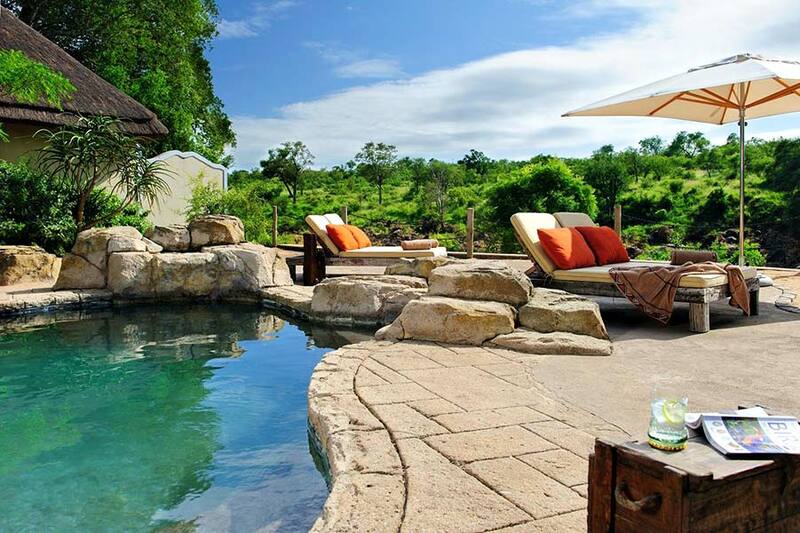 A wide variety of Bushveld Birds are spotted from the comfort of ones room or whilst lying next to the Rock Pool. Most commonly seen are Hornbills, Starlings, Boubou’s, Shrikes and Woodpeckers to name but a few. The tranquil atmosphere at the Lodge allows for unique birding opportunities as man slows down, finding the rhythm of nature and begins to truly observe. Throughout the concession, rock art sites dating back more than 3 000 years are found depicting the spiritual beliefs and lives of the San. During their travels, members of the tribe would congregate around a communal fire, weaving stories and celebrating the gift of life while the Shaman would meditate through rhythmic dancing, singing and clapping and while in a trance, receive visions and guidance. This medicine man would ensure the well being of the tribe, protecting them from evil and sickness, predicting the future and ensuring good hunting and rains. These experiences of the Shaman were depicted to the tribe in the form of the rock art seen today. The various sites that were chosen were also very symbolic, the rock depicting the medium between the different realms the Shaman had travelled in his trancelike state. Rock was the medium where 3 worlds met: the world as we know it, the world above and the world below. Ingredients used for the paint consisted of red ochre, animal bones, coal and aloe sap. The sap and protein in egg and blood have the ability to preserve the art that exists today. The highlight of a day in paradise is a guided walk to view some of the rock art that abounds in and around Jock Safari Lodge. One gets a heightened awareness moving through the bush on foot and a newfound respect for the San who found a way to co-exist with Nature, leaving only a few mystical daubings on the rocks as proof of their fleeting visit and the simplicity of their ways, giving one a new understanding and meaning to our fast paced existence. With the absence of artificial light, the stargazing at Jock Safari Lodge is phenomenal and amongst the best in Southern Africa. Romantic stories of gods and goddesses banished to the heavens are woven into astronomical facts and unfolds before one’s eyes. How better to end a blissful day at Jock but to sit reflecting under the star studded-canopy of African skies, the vastness of infinite galaxies stretching before one. With an estimated 34 different species of Amphibians in Kruger, Jock Safari Lodge ranks as one of the best places for Frogging Safaris. Froggers are issued head lights, nets and gum boots and set out after dark. Frogs are caught and identified, and then released back into their habitat. Guests get to marvel at the kaleidoscope of colors and the choir of sounds emitted from these tiny creatures, some no bigger than your thumb. Every different species of frog has his or her own look – color, pattern and size. Mark Twain’s celebrated frog of Calaveras County has nothing on the amazing frogs of Kruger. Some recent “catches” include Banded Rubber Frogs, Bubbling Kassinas, Sand Frogs and Painted Reed Frogs. Frogging Safari-goers will discover the wee wet ones get a bad rap for such characteristics as sliminess and bulging eyes. Truth is they have very good eyesight because they bulge out the sides of their heads in order to see in nearly all directions. And their skin must remain moist to help them breathe. Best time to go wet and wild? The rainy months of November through March are the top months for frogging. Personally assigned rangers will delight in sharing their knowledge of this astounding natural treasure trove of the bushveld and slowly the mysteries of the wild unfold. Jackalberry trees older than written history are pointed out and the myriad of insects, birds, mammals and reptiles that exist in this leafy ecosystem are explained. The sheer wonder of Mother Nature at work in this microcosm makes one eager to experience and understand more and to experience untouched Paradise in its pure form. The Amarula tree, so very African, can be seen overflowing with baboons plundering the juicy fruit while keeping a wary eye out for the leopard that abound in the Jock concession. Taste the Sour Plum and sense a taste explosion or spot the various plants with medicinal values ranging from stomach cures, cures for hangovers or even a bush Viagra!! The vast expanse of this wild land slows one down and with this inner peace comes an ability to really incite the senses.